We have redesigned the View Templates screen so that it flows a bit better and is easier for you to use! When you go to view templates you will now be defaulted to your "Recent Templates" these are the last 8 that have been used to send a campaign. 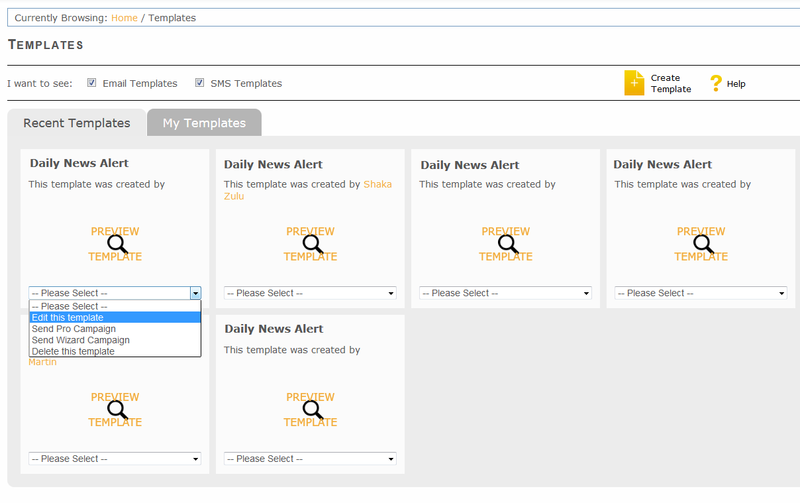 To view where all your existing templates are located you need to go to the "My Templates" tab. 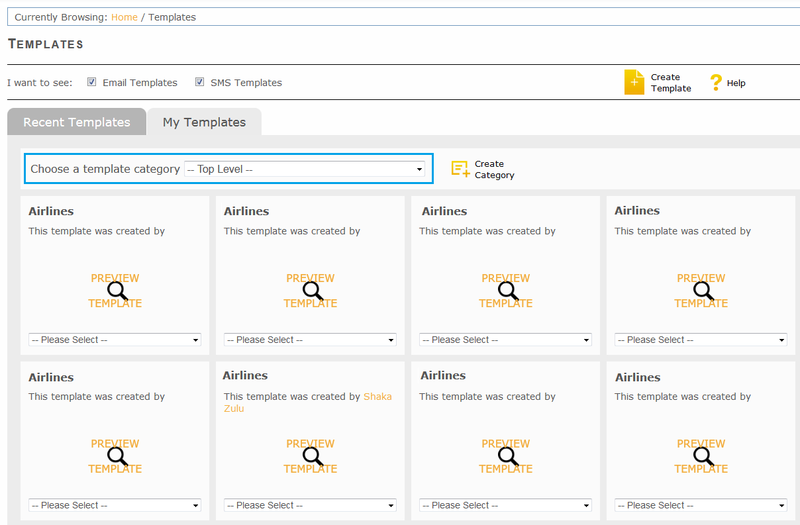 In here you can select the template category using the dropdown list highlighted in the image below. All other functions are the same and are available in the drop down menus.